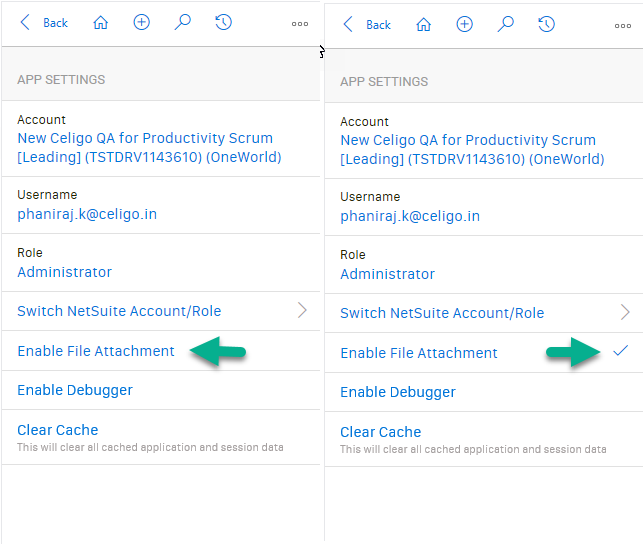 Attaching files is available in trial and paid versions of CloudExtend Excel for NetSuite. If you try to save a file attachment without first enabling the feature you will receive this notification. 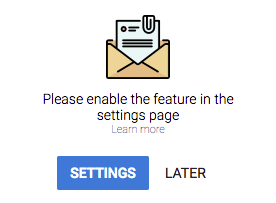 Click ‘SETTINGS’ to navigate to the settings page. Click on 'Enable File Attachment' and look for "Tick" mark to confirm that file attachments are enabled. Step 2: Attach the email and selected files. Navigate back to the email and find the record you want to attach to. Option 1 will do an auto search based on sender/recipient and Option 2 will allow you to expand your search to other record types as well. In the example below there are two attachments to the email. Step 3: Choose the record or record(s) to attach the email to (1). 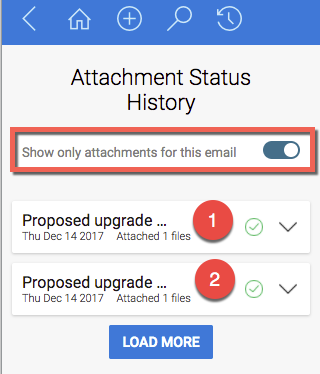 Toggle the attachment button from off to on (2). 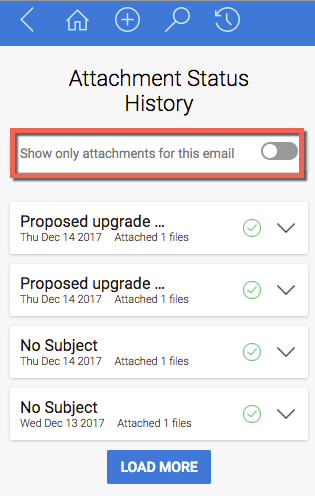 Uncheck the attachments you do not want to sync (3). Click attach email (4). To view the attachment in NetSuite you can: click ‘View in NetSuite’ or ‘View Message’. 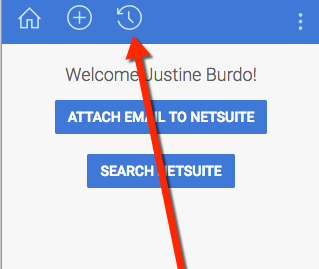 Selecting ‘View in NetSuite’ will navigate you to the contact record in NetSuite. Go to the communication tab and you will see the email + file attachment. 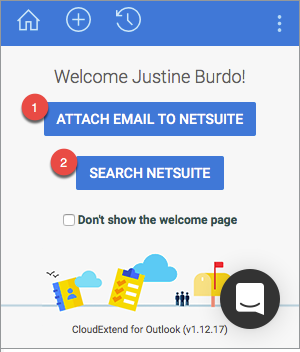 Selecting ‘View Message’ will navigate you directly to the message in NetSuite. Click on the Attachments tab to see the file attachment you just saved. To view your history of email attachments saved, click on the History button on the toolbar. To see email attachments saved from the email you are currently on in Outlook, ensure the toggle is on. Here it shows I have attached the attachments twice. By switching the toggle off, you will now see a history of all attachments saved.